After a January in which emerging-economy fires blew smoke into investors’ eyes, markets are calm again. Somewhat dovish noises from Janet Yellen, the new chair of the U.S. Federal Reserve, have, at first, reassured. But there are good reasons to worry. Yellen said volatility in global markets did not pose a substantial risk to the U.S. economic outlook. The exclusively domestic line is globally unpopular, but too much Fed concern for the world can have bad effects at home. Crises in Asia and Latin America helped push Alan Greenspan to three interest-rate cuts in late 1998. U.S. internet stocks rocketed, and then crashed, damaging growth. The Fed is trying to learn from burst bubbles’ past. The situation is similar now. The Fed could stop reducing the pace of asset purchases with newly created funds. A so-called taper pause would be certain to propel U.S. and global markets higher. It would also increase bubble risks after a stellar year for U.S. stocks in 2013. And the economic gains from persisting with very high quantitative easing are doubtful. While Yellen says she wants to bring inflation back up to the Fed’s 2 percent target rate, monetary policy can only do so much. Despite a quadrupling of the Fed balance sheet since 2008, the current rate is only 1.5 percent. The European Central Bank may have that U.S. example in mind as it weighs the case for further monetary policy easing in the euro zone. The inflation rate, at 0.7 percent, is very low but it is not just the effectiveness of potential quantitative easing that is in doubt. The application across the euro zone’s fragmented markets would be challenging — and would be liable to face challenges from Germany. Rather than test policy and even the law, the ECB may prefer to rely on hopes of higher inflation by 2016. Despite their current calm, markets are likely to find it hard to adjust to the reduction in the Fed’s extraordinary largesse. Emerging-market fires may flare again. Developed-market bonds and equities that have prospered on loose money may again be burned. Neither the Fed nor the ECB is likely to rush to deploy the hoses. 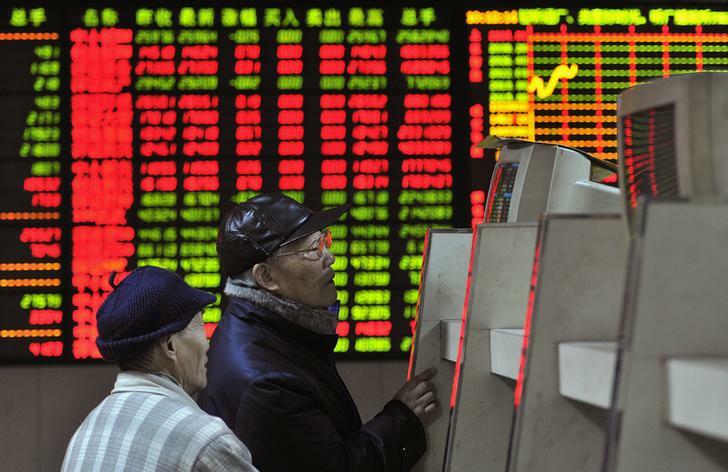 Investors look at a computer screen showing stock information at a brokerage house in Hefei, Anhui province. Asian shares rallied for a fourth straight session on Feb. 12, in part in response to the first semi-annual monetary report to Congress from new Federal Reserve Chair Janet Yellen. Yellen said that the Fed expects economic activity and employment to expand at a moderate pace and inflation to move back towards 2 percent over coming years. Her prepared remarks said the Fed had been watching closely the recent volatility in global financial markets. Clemens Fuest, the head of the German ZEW think tank said on Feb. 10 that the European Central Bank’s Outright Monetary Transactions, its flagship crisis-fighting tool, have been blunted by the assertion of Germany’s top court that it exceeded the ECB’s mandate. Germany’s Constitutional Court has referred a complaint against the plan to the European Court of Justice.